Andy, is a high school teacher with a very impressive baseball resume. 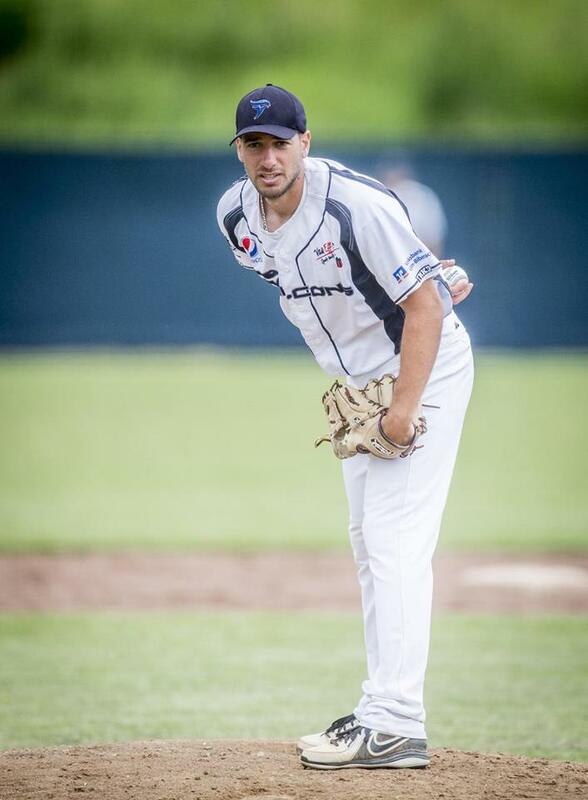 After graduating from teacher’s college and being a top pitcher year after year in the OUA conference for York University and the University of Toronto where he helped lead the team to an OUA Championship, Andy has played professional baseball all over the world! Over the past 4 years Andy has played professionally in Germany, Switzerland, Australia, Sweden, and most recently, South Africa. He was also a member of the Greek National Team in the European Championships from 2012-2017. Throughout his travels Andy has also had the opportunity to coach and run a number of clinics and camps for children all over the world! Andy will be a wonderful role model for athletes of all ages and skill level as a strong example of working hard and following your dreams. His vast experiences playing professionally all over the globe will bring so much knowledge and passion to our players!